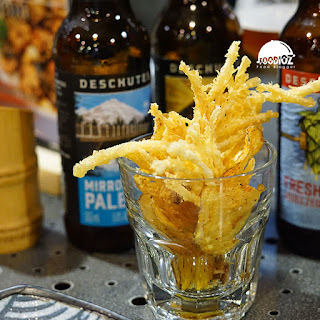 Beer is one of the most well-known and consumed alcoholic beverages in the world, and can be considered as most popular drink alongside with tea and coffee. 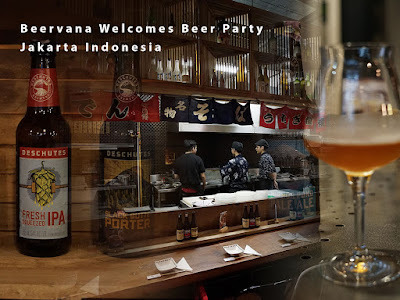 I felt honored invited by Nibble App being part of Beervana Welcomes Beer Party. 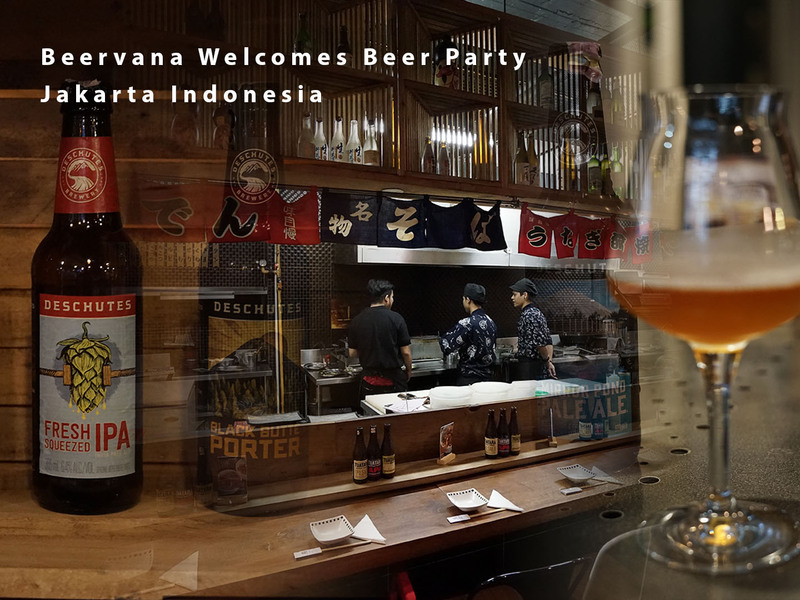 Beervana, as a Beer Importer and Distributor, introduce and launch Deschutes Beer, it will be the 1st Oregon Beer In Indonesia. 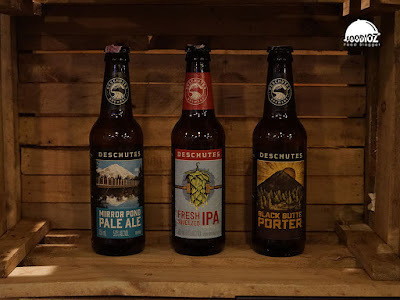 Speak of Deschutes, it’s a Beer Brewery company that founded in 1988 at Bend, Oregon. During its inception, the company started as a Brew Pub. 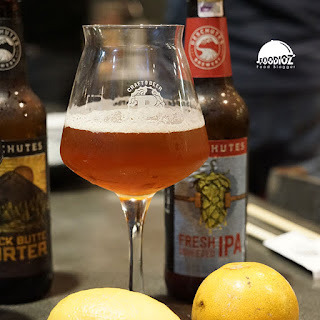 Right now it became the 8th largest craft brewery in United States, with two brewing facilities located in Oregon, Bend and Portland. It produce more than 29 million liter per year. 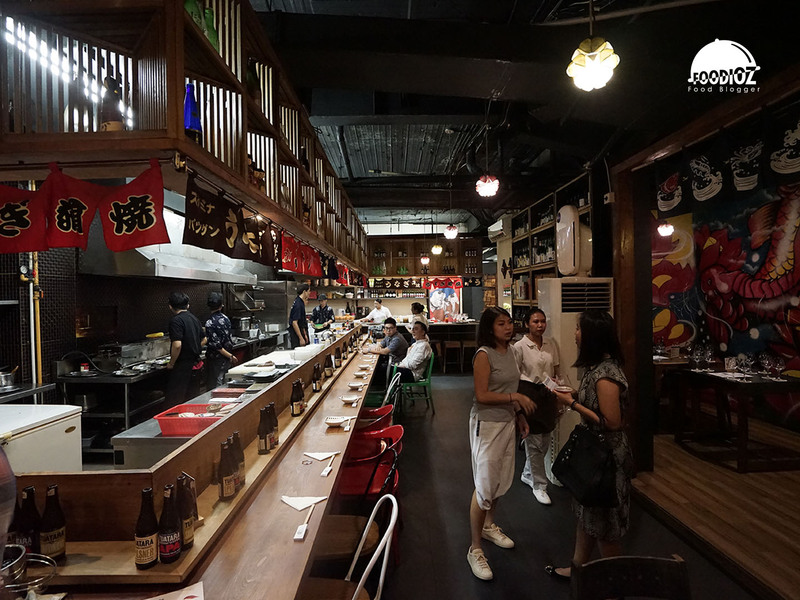 The event itself hosted at Tori-Ya, Japanese Restaurant located in Fairgrounds SCBD area. Restaurant design and ambience was very good looking. It looks like traditional Japanese style, with wood sliding door, full of wooden interior, and lots of sake battle arranged on hanging rack. Although Deschutes Brewery have lots of Beer products, only 3 variant that will launch in Indonesia. It will be Mirror Pond Pale Ale, Fresh Squeezed IPA and Black Butte Porter. These 3 beers was introduced during the Beer Class that held at the event. 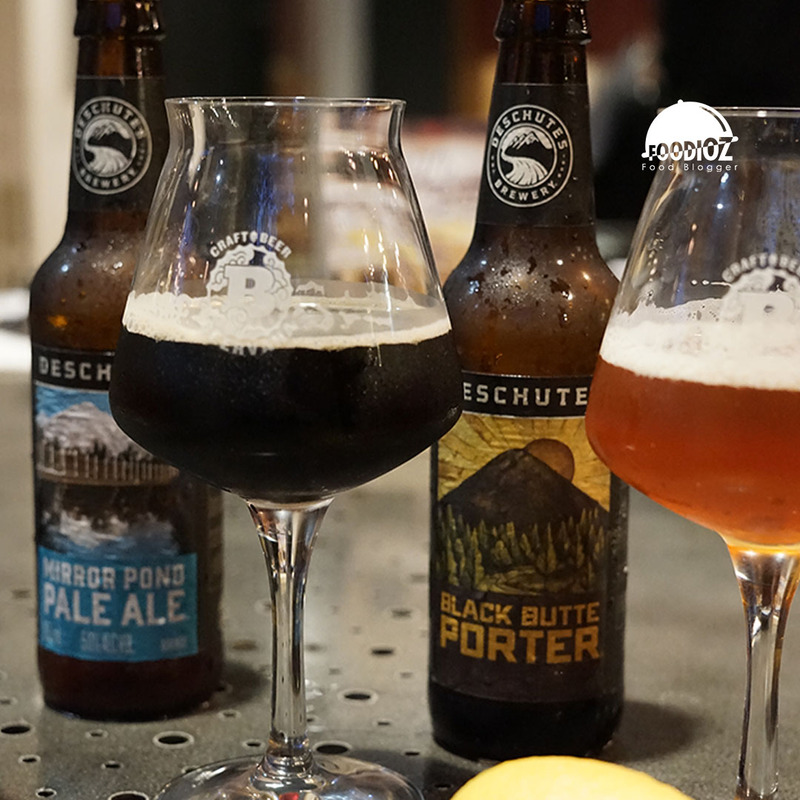 Each participant given brief introduction about Deschutes profile, how to taste of these beers. Differ than Indonesia local beer that usually Lager Beer, Mirror Pond and Fresh Squeezed is an Ale Beer. 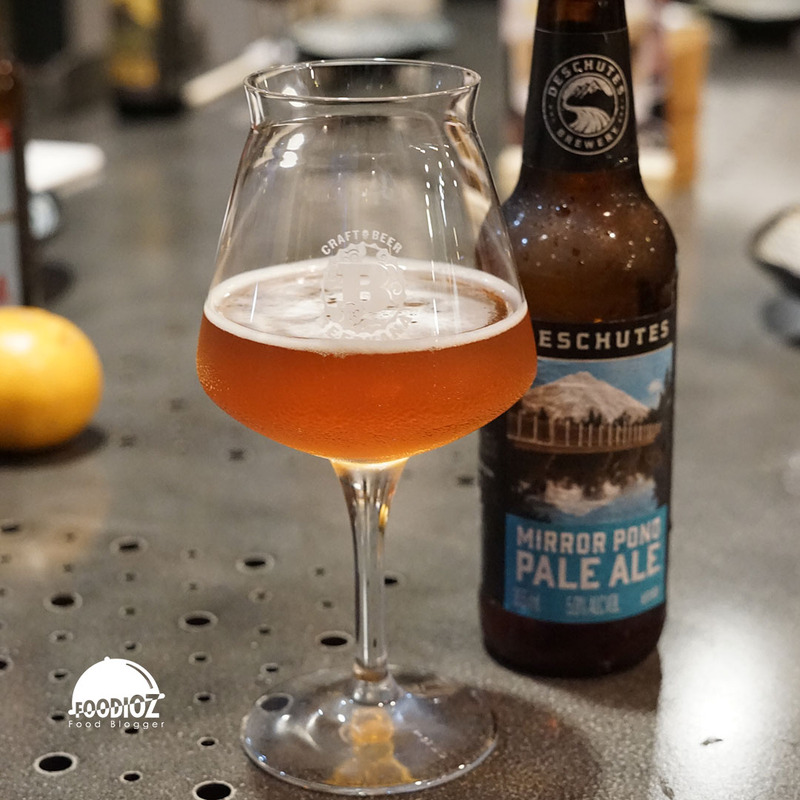 Mirror Pond Pale Ale has floral fruity aroma, personally i can smell like lychee, made from local whole-cone cascade hops on a caramel base. It’s a single hop pale ale, with 5% ABV (Alcohol by Volume) and 40 IBU (International Bitterness Unit). Also had some Beer Winning Award from 1990 – 2017. Fresh Squeezed IPA, which stands for India Pale Ale, has floral and juicy aroma. Different with Mirror Pond that use only single hop, Fresh Squeezed made from Mosaic and Citra Hopped. Therefore, we able to taste and smell aroma like Tangerine and Grapefruit. Have more ABV than Mirror Pond at 6.4% and more bitter taste with 64 IBU. Last but not least, Black Butte is a Porter Beer. From the color itself looks like Stout Beer, but less dark. It offers some rich creamy chocolate and personally i taste coffee notes, with an easy roast finish. 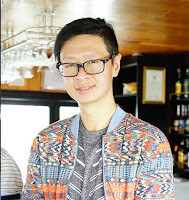 It was reflected by its IBU, which only 30, lowest among the others and 5.2% ABV, which is quite low either. Also its an Award Winning Beer since 1996 – 2016 and my most favorite among the others.